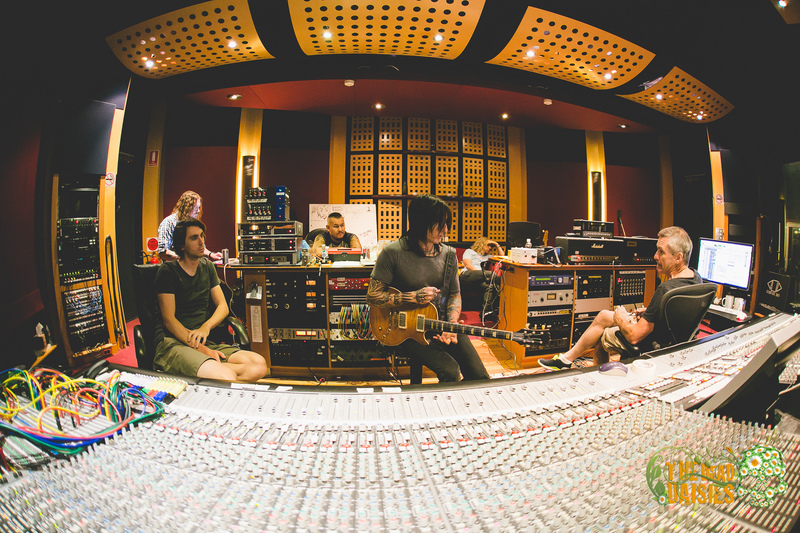 The Daisies Recap: A studio does really look like the bridge of a spacecraft, doesn’t it? And that’s where the magic happens! 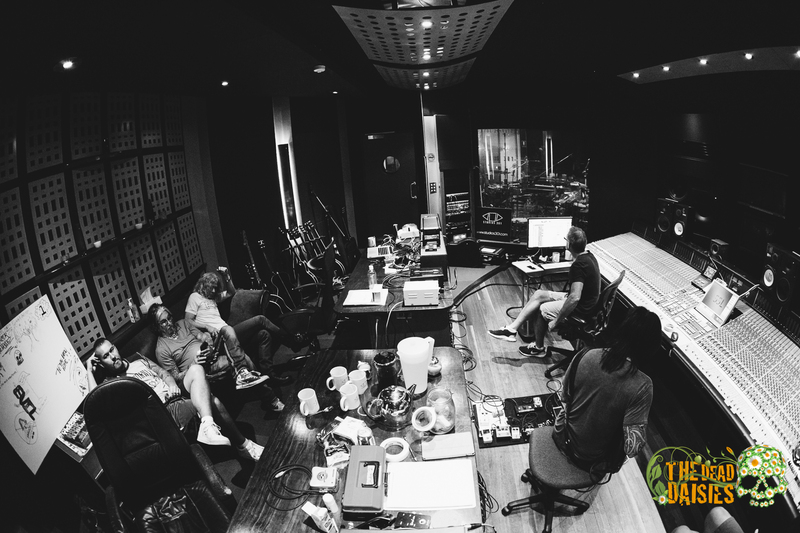 Recordings where in full swing in March 2015, when the worked with Craig Porteils on what would become „Revolución“. 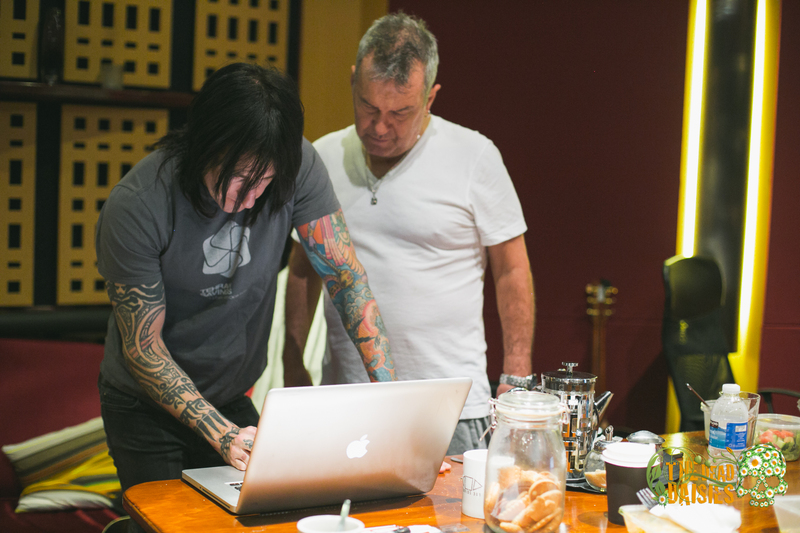 The process would include writing brand new songs, and taking in numbers from outside writers like Jimmy Barnes, an Australian Rock’n’Roll legend in his own right. 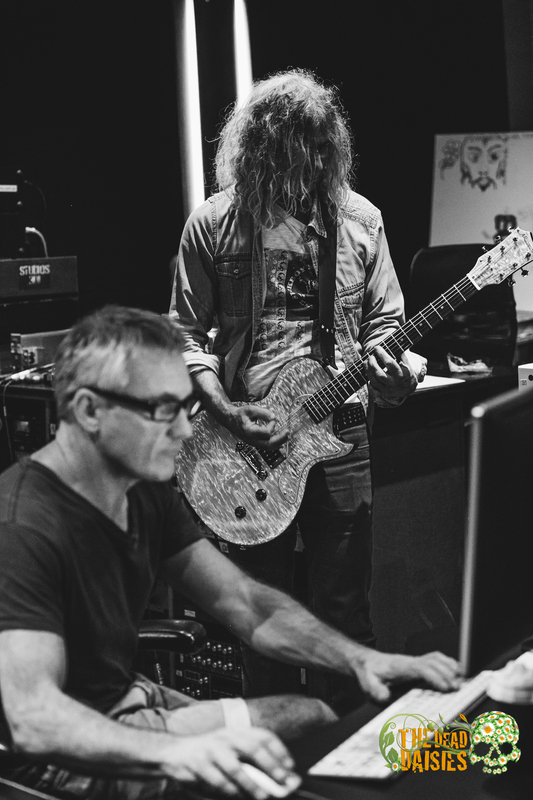 Jimmy contributed ‘Empty Heart‘ and sang it together with John Corabi.